Holler at this deal right here. You&apos;re looking at a custom-butted steel frame with an outer-butted seat tube, and custom-tapered rear triangle and triple-butted fork, and yes, the entire frame and fork is Cro-Mo down to its boxers, basically. 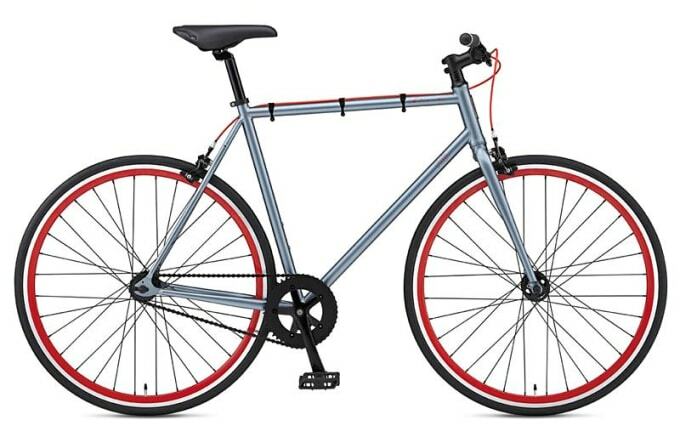 Combine that with a reliable Fuji crankset, Fuji alloy doublewalled rims (machined for the brakes, natch), and a gray, black, and red color scheme, and you&apos;re sure to turn some heads, as well as negotiate sharp turns really nicely.